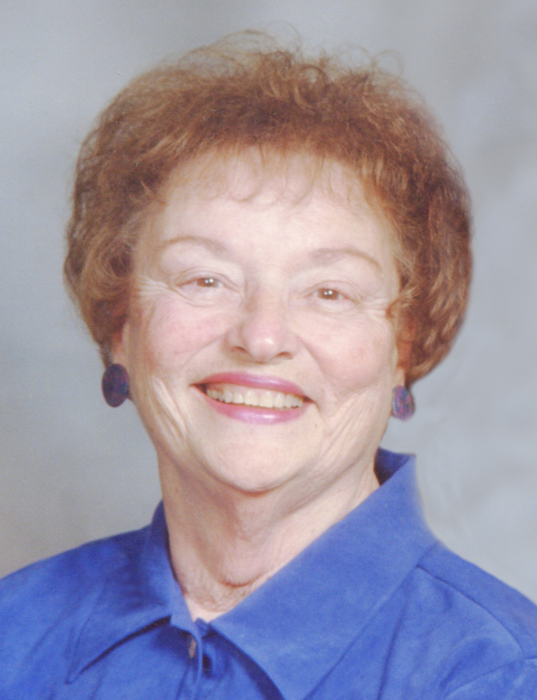 Madison/Sun Prairie - Coletta M. Niemann, age 92, passed away on February 11, 2019 at her home in Sun Prairie surrounded by her family. She was raised by Frank and Jakobine Back. Coletta was a lifelong Madison resident, graduating from East High School in 1944. She was united in marriage to Robert Niemann and their storybook union lasted 70 years until his passing in 2018. She was devoted to her home and children. Coletta was well known by family and friends for her homemade soup. She loved visits from all her grandchildren and great grandchildren, always making sure they had something to eat. She enjoyed playing cards and the many camping trips with extended family and friends. She was a charter member of St. Peter's Catholic Church. Coletta is survived by her children, Bonnie (John) Kees of Madison, Jack (Corinne) Niemann of Sun Prairie, Cindy (Steve) Frank of McFarland, Nancy (Ron) Rapp of Lisle, IL, Jane (Dave) Hosking of Black Earth, Jim (Jessica) Niemann of Rio, and Elizabeth (Tim) Haines of Boscobel. She enjoyed her 14 grandchildren: Matt, Maria, Mitchell, Daniel, Angela, Brandon, Emily, Nicole, Adam, Alex, Jeremy, Kalista, Carli and Sydney, along with 11 great grandchildren: Sari, Mattea, Skyla, Shine, Evelyn, Vera, Bennett, Mae, Grant, Jaycee and Rhys. She is also survived by brother-in-law David (Barbara) Niemann and many nieces and nephews. She is preceded in death by her husband, sister, Rosemary (Neil) Schlicht, brother, David (Marion) Schmidt. Coletta and her family would like to expresses their most sincere gratitude to the staff at Highland Park Assisted Living and Agrace Hospice and Palliative Care for their support and care of both mom and dad. A Mass of Christian Burial will be held at 11 a.m. on Friday, February 15, 2019 at St. Peter Catholic Church, 5001 N. Sherman Avenue Madison, with Fr. Bob Evenson officiating. Visitation will take place from 9 a.m. until the time of mass, followed by a luncheon. In lieu of flowers, memorials in Coletta's name can be made to Agrace Foundation, 5395 E. Cheryl Parkway, Madison, WI 53711. We were so incredibly lucky and thankful to have you as a mother, grandmother and great grandmother. We take comfort knowing you are reunited with dad, saying I love you a bushel and a peck and a hug around the neck.